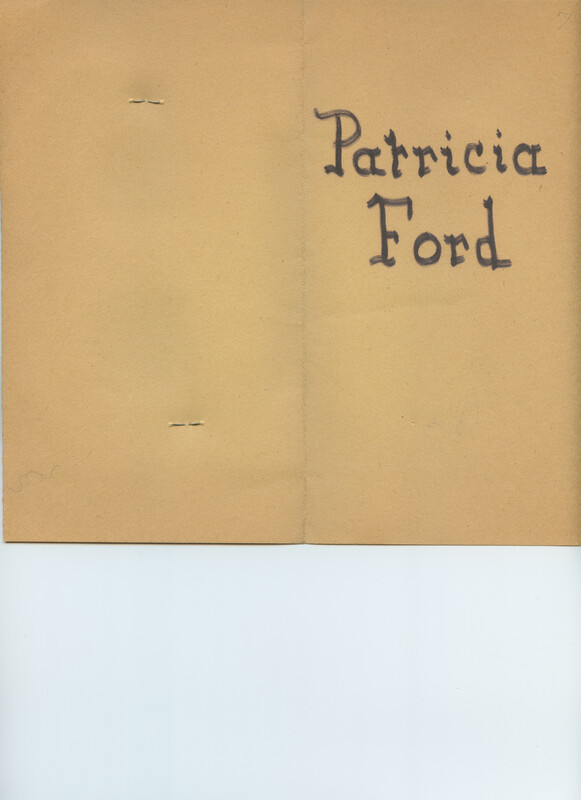 This an eighth grade report for Patricia Ford. It was created by a teacher at Taft Sr. High School in the District of Columbia school system. 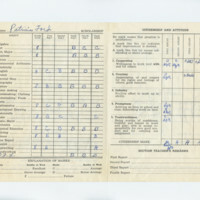 It details the courses available in the school and those courses Ford took. 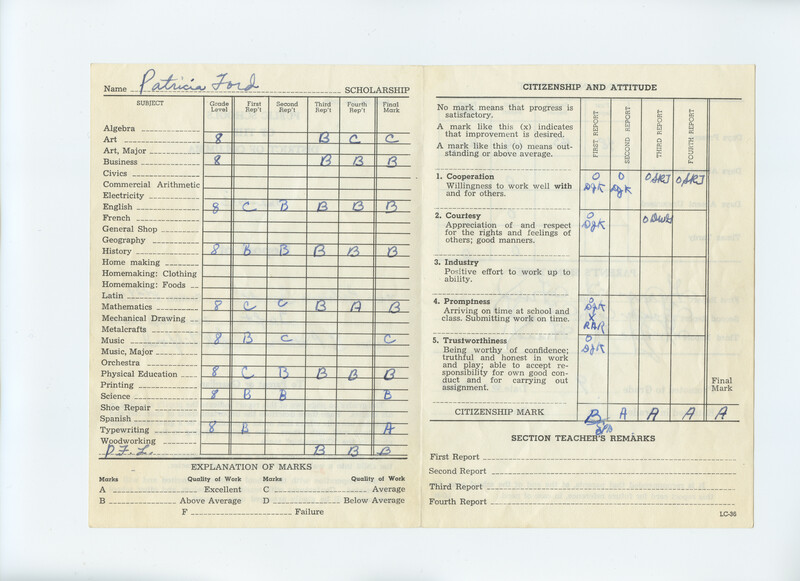 Taft Sr. High School Eighth Grade Report Card for Patricia Ford is licensed under a Creative Commons Attribution-NonCommercial-ShareAlike 4.0 International License. 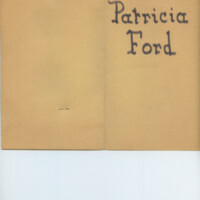 Taft Sr. High School and Public Schools of the District of Columbia, “Taft Sr. High School Eighth Grade Report Card for Patricia Ford,” DC Digital Museum, accessed April 22, 2019, https://wdchumanities.org/dcdm/items/show/1892.